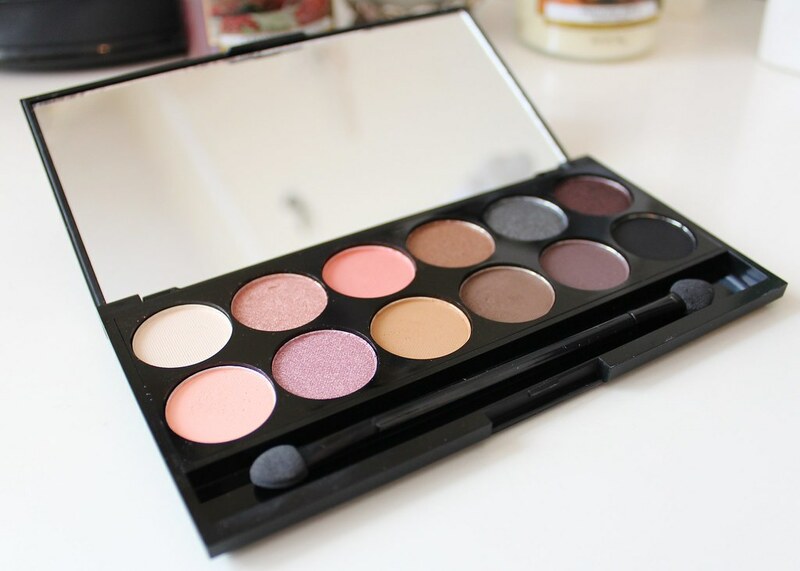 For my holidays coming up, I've been looking for a palette which is cheap but has good quality eye-shadows in it that I can use for both the day and night time. I didn't really want to take my beloved, Urban Decay Naked2 Palette as it was expensive and if any of the eye-shadows cracked or crumbled due to travelling in a suitcase I would be upset! I've been eyeing up quite a few high-street palettes and this Sleek Make-Up, 'Oh So Special' palette was the one that caught my eye. It has everything I would want and need in a small, compact case. It has seven matte colours, (Bow/Ribbon/Pamper/The Mail/Boxed/Wrapped Up/Noir) and five shimmery shades (Organza/Gift Basket/Glitz/Celebrate/Gateau). 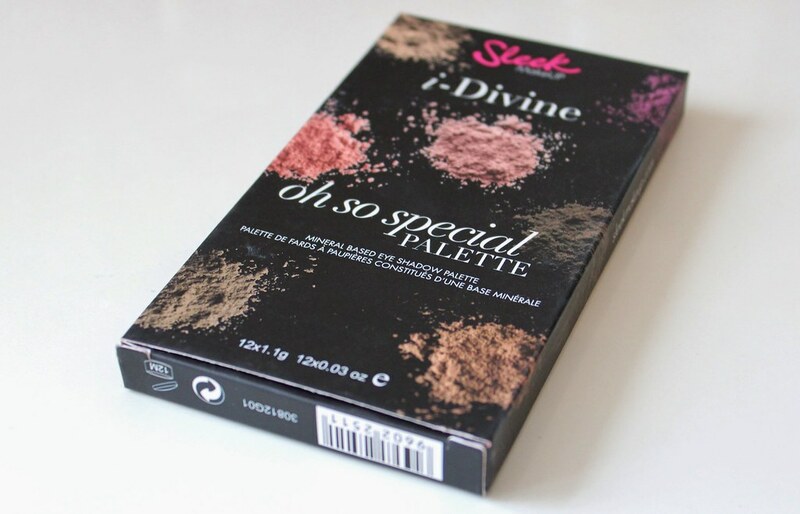 What I found with a lot of the palettes in Boots and Superdrug is that most of them only really had shimmery shades! And to be honest, I prefer matte shades but do like to have some shimmery shades to choose from also. One of the main reasons I picked up this particular palette is because of the Pink shades. I don't own any like these and I thought they would look lovely paired together on holiday. I didn't want to pick a palette that would be identical to my Naked2 palette as I feel it would be neglected by me when I'm not taking this away for travelling and this palette is not like any I've seen before. The colours and overall quality of the eye-shadows is brilliant! Every shade is pigmented and the colour pay-off for most shades is very vibrant. You really do get your money's worth! 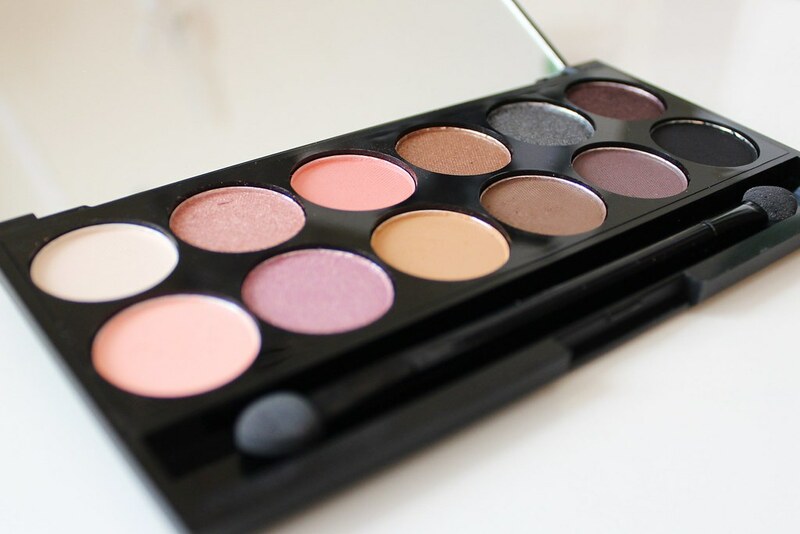 I have another Sleek palette so I hoped that the eye-shadows would be as good as they are and they really are. The huge mirror is also a bonus and a necessity for on-the-go make-up application. The packaging is, sleek (pardon the pun), light, not too big and durable. I don't really have any major negatives about the palette. Although the outside of the packaging does tend get grubby with foundation finger print marks really easily which do not come off all too well. 'Boxed' - A perfect matte Brown colour, perfect for defining the crease of the eyelid. 'Celebrate' - Gorgeous Brown shimmery colour with Purple undertones. So different! 'Ribbon' - Pink/Coral colour, amazing with a Summer tan with matching coral lips and cheeks. 'The Mail' - A light Orangey/Brown, also great for subtle definition of the eye. 'Glitz' - This shade is lovely, but I don't feel this would suit me all that great. 'Bow' - A Beige/almost White colour that doesn't really do much. Overall, I adore this palette. 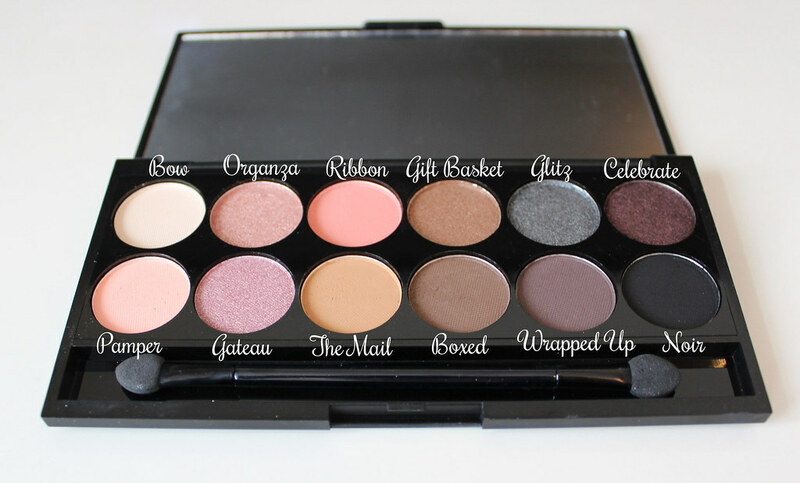 Let me know if you have this palette and what you think!